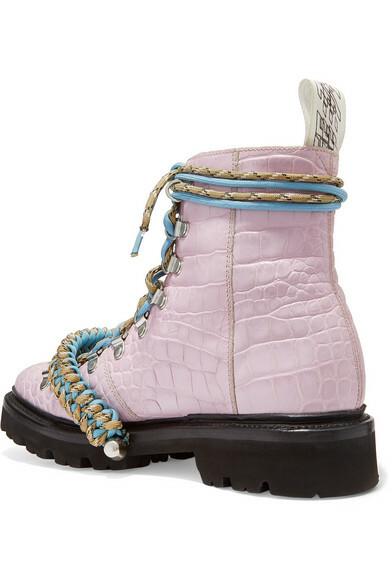 Trust Henry Holland to take a trend and make it playful - he loves to show a sense of humor through his collections. 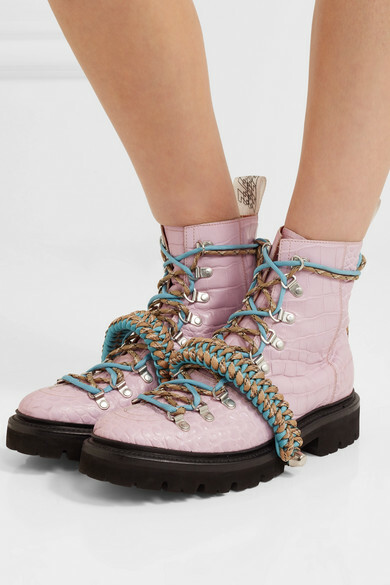 Made in collaboration with British shoemaker Grenson, these boots are crafted from lilac croc-effect leather and set on rubber-lug soles that are surprisingly lightweight. 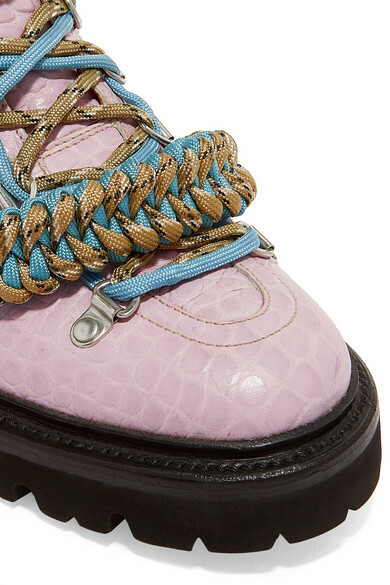 We especially like the cool contrast macramé strap and laces. Shown here with: House of Holland Hoodie, Les Rêveries Dress, JW Anderson Shoulder Bag, Sophie Buhai Rings.